Peoples Democratic Party critisize President Muhammadu Buhari over afterthought visit to Plateau State – Royal Times of Nigeria. 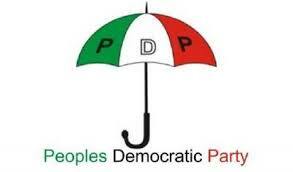 The Peoples Democratic Party (PDP) on Tuesday criticised President Muhammadu Buhari over his afterthought visit to Plateau State over the killing of scores of people in the state, describing the visit as belated. The PDP National Publicity Secretary, Mr Kola Ologbondiyan, who stated this said President Buhari has failed in its constitutional responsibility of protecting lives and property. According to Ologbondiyan ,the President is more interested in his re-election bid than to provide adequate security to the people who voted him into power. Ologbondiyan however concluded that the APC government and President Buhari has failed to add value to the lives of the common man in the last three years adding that the President has been moving around commissioning white elephant projects.